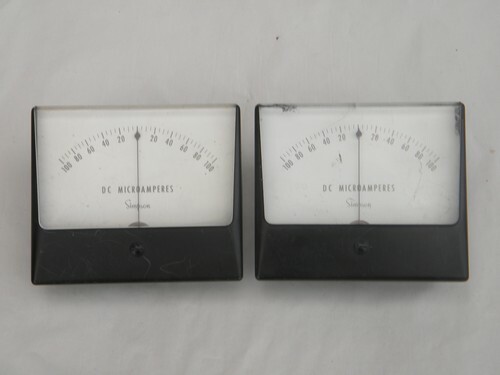 Lot of 2 matching Simpson panel meters for measuring direct current microamperes on a scale of -100 to +100. 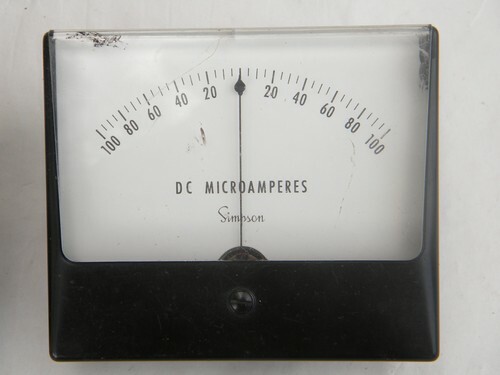 They measure about 4.5" x 4". 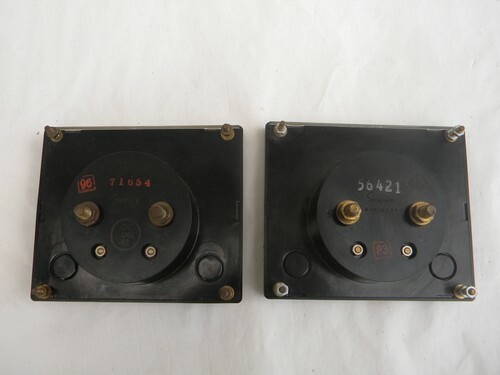 These are from the estate of an electrical engineer. 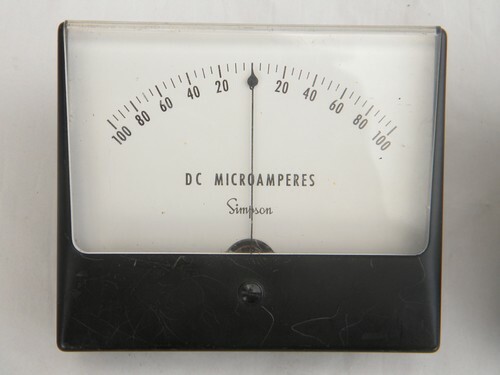 One of the meters has a crack to the plastic face.